With 2 raised and fielded panels with beading and a small panel across the middle rail. 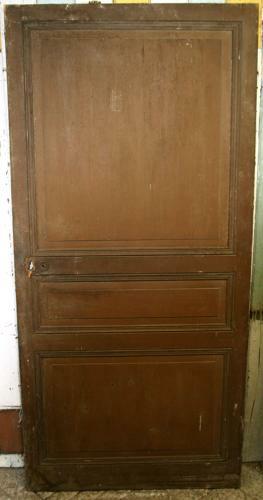 This French door is fully morticed & tenoned and in very good condition. We can quote to sand the door back and wax or oil it, please call us for options.